We wanted to change how people create banner ads and find an easier way to get things done. That’s why we started working on the new Smart Resize – the feature that will revolutionize the way you resize your banners. Get ready to be amazed at how easy it will be to resize elements, layers, and texts in all sizes and formats. With an intelligent algorithm developed by our team, the Smart Resize allows you to simplify your workflow and scale up your campaign visuals up to 10 times faster. 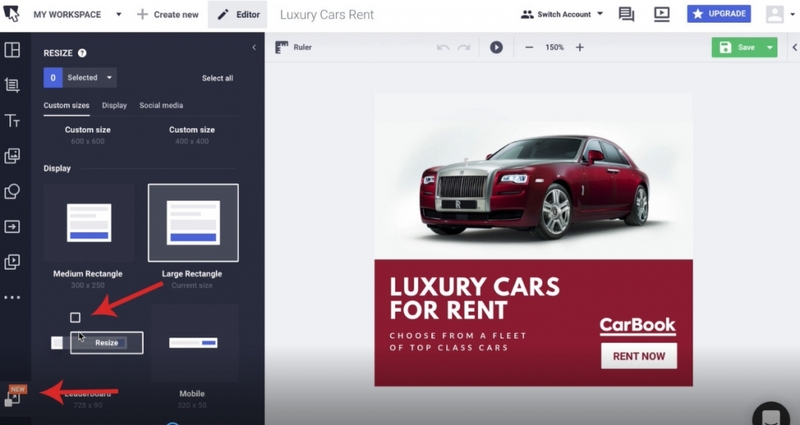 Now you can resize your banner in just one click, without any further adjustments. And, as a bonus, you can start from one design and generate many other banner sets or create AB tests. It won’t take long to forget all about the hassle of re-creating the same banner in more sizes. Want to resize a leaderboard to a square design, or from a poster to a Facebook cover? One click is all it takes. Read on to find out more about our newest major feature, the Smart Resize! But first, let’s see how exactly can this feature help you. Smart Resize empowers you with the magic of a single click resize. Transform your designs format and size with a single click! Want to go from a banner layout to a social media size? Checked! It’s never been easier to create a full banner set! Create a single static or animated design, then scale it up into a set with over 50 sizes, in just a few clicks. Want to convert one layout into a full set of banners? Checked again! Most of the times, you will need to scale a campaign you will use the same sizes. So, if you already have a banner size that you frequently use, like your home page-banner, for example, you can now save it and use it anytime. This way, your custom sizes will be ready to use with the new Smart Resize, the Editor or the Generator. 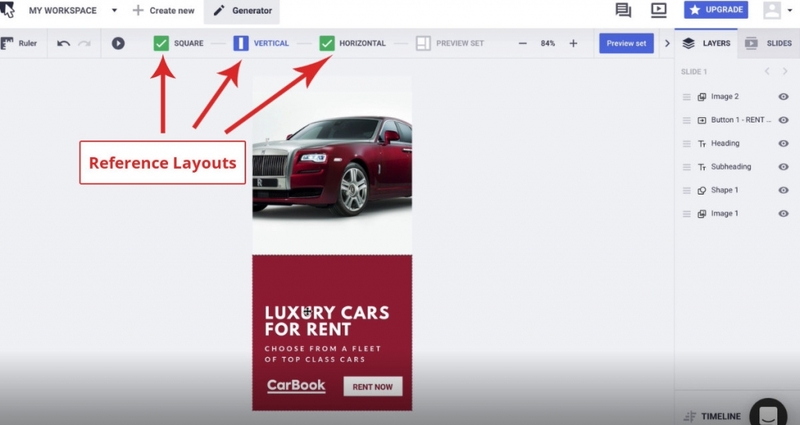 Check out this short video ad and see how Smart Resize will revolutionize the way you design your banners. First, all you have to do is create a visual, just like before. You can start from a template or from scratch, and add your personalized elements such as text, logo, CTA, and images. 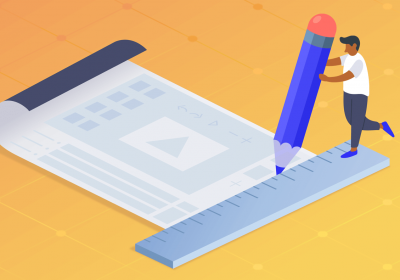 Before this feature launch, if you wanted to create the same design in more sizes and ratios, you had to recreate it or use the Banner Generator. But now, we have a faster way for you to resize your designs. 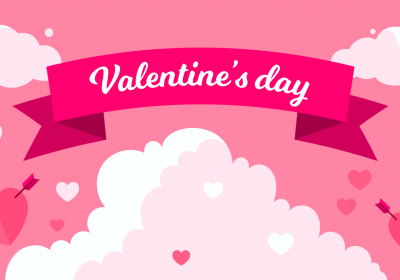 First, make sure you build your main banner layout as clearly as possible, adjust all the elements, make sure the bounding boxes fit the banner design and add all your animations. After your final check and design alignments, you are ready to select the desired sizes and hit “Generate a set” if you want a whole banner set or simply hit “Resize” to get a new layout from the listing in the left side of the Editor. See more on our dedicated help page. Once you click the Smart Resize button, you can choose the sizes you need. We have preset sizes for all the most common banner and social media sizes, but you can also add custom sizes, as needed. Once you choose the size, the next step is to set the reference layouts, to help our AI get an idea on what you want. You can decide where to reposition all the elements and layers in vertical, horizontal and square sizes. And, here it is… your re-sized banner set, at the click of a button! Our intelligent algorithm worked its magic and was able to figure out how all sizes should look like from the 3 reference layouts you provided. Now, all you have to do is download your static or animated banners and get started with your campaigns. Why should you use the Smart Resize? It’s, obviously, a time-saving feature that can help you finish your work faster; and at the end of the day, our new feature can even help you get more money. If you’re a freelancer, you already know that time is money. You get paid for what you work, so a more significant number of designs in a shorter time can lead to an increased income. If you’re a marketer or a small business owner, spending less time designing your banner will leave you with more time to work on other tasks and increase your business. As a designer or marketer, you may have already tried to organize your workday by alternating creative tasks with repetitive ones. And, more often then not, the repetitive tasks can take more time than the creative ones. You could come up with the idea for a banner in 5 minutes, create one size in a few hours, then spend the rest of the day trying to make it work for more sizes, platforms, and ratios. What if we gave you that magic wand: a way to help you stay creative and sharp at all times? With the new Smart Resizer, you can cut off some of the repetitive tasks that were holding you back and killing your creativity. With the click of a button, you’ll have a ready to use design at your fingertips. Whether you work in an agency, you’re a freelance designer, a marketer or a small business owner, you have probably felt the pressure of launching the visuals for a marketing campaign across different channels. When you work with a team, deadlines are tight, but you also depend on getting feedback from your team; if the feedback comes too late, it can lead to overtime, frustration, stress, and burnout. If you’re a small business owner and you have to do everything yourself, things can go even worst. With everything happening so fast, you might realize you’ve been cutting bills or getting new merchandise all day long, and now you have all night to work on your campaigns. As a marketer, you are constantly struggling juggle with all the tasks, and you can really sit down and do just one thing at a time. That’s why you’ll need a way to fragment your more significant tasks into smaller ones without losing focus. Create the first sketches of your banners early in the morning; this will give your team plenty of time to provide you with feedback, and you’ll still have time to add the finishing touches and use our Smart Resize just before you leave the office. No matter how hard you try to stick to the schedule, last-minute changes will always appear, so try to leave a few work hours in-between, to prepare for the unexpected. Work on your sales campaigns and designs in the afternoon, when things get quieter at the office, and the phone stops ringing. This will give you the clarity you need to get things done with no interruptions. 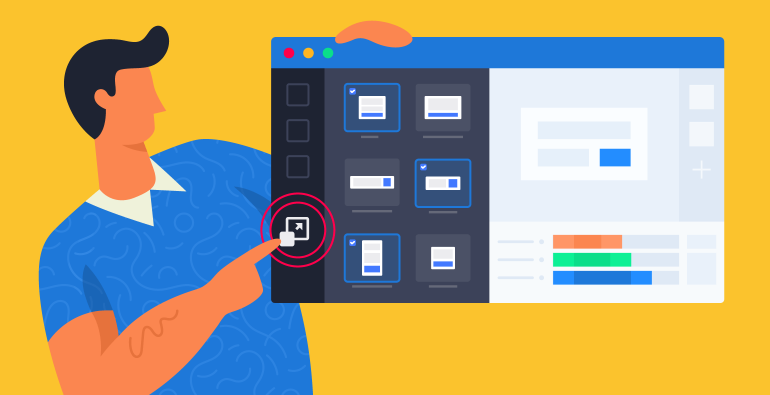 Create one size for all the visuals you need and save the final version. Then, you can come back to them anytime and resize them one by one, as soon as you need them in your campaigns. We are constantly trying to make the life of our customers easier, and there are numerous ways this new feature can improve your workflow, productivity, and efficiency. Once you start using the Smart Resize, you’ll wish all your problems had an easy, intuitive and smart fix like this one. Enjoy the power of Smart Resize and save tremendous time with Bannersnack!